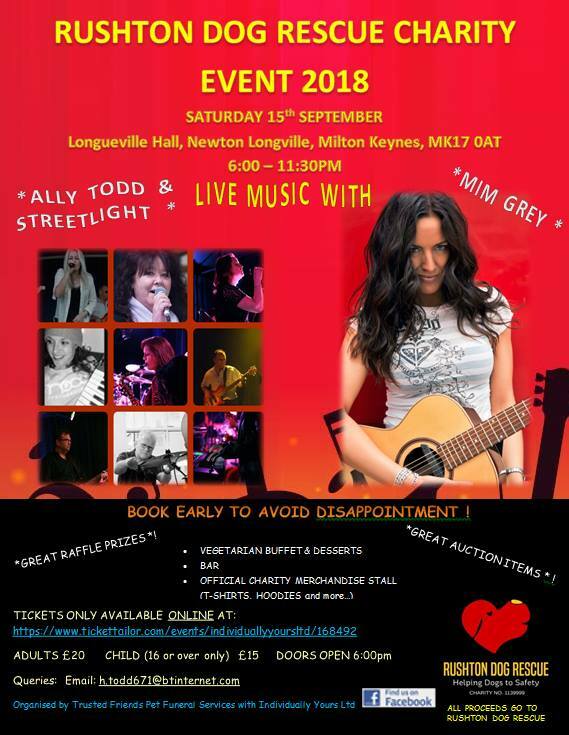 On the 15th September 2018 our friend Helen from Trusted Friends Pet Funeral Services Ltd is hosting a fundraiser for Rushton Dog Rescue in Milton Keynes (Longueville Hall, Whaddon Road, Newton Longville, Milton Keynes, Bucks. MK17 0AT). Please come join an evening of live music, raffles, drink and food to help support Rushton Dog Rescue. Please note this event is for ages 16+ will be held between 1800 and 2330 in the evening.